Could Drugs or Toxins in Your Life Be Affecting Your Hearing Without Your Knowledge? The last post was about Sudden Hearing loss, which brought up questions that inspired this post. The hearing system is very sensitive to nutrient changes in your bloodstream. So much so that when a patient is undergoing chemotherapy, the oncologist often works with audiologists in order to see when the chemotherapy drugs are becoming toxic to the patient. Chemotherapy and other similar drugs keep people alive and hearing loss may be a necessary side effect. Many people ask us at Audiology Associates why we check your medications. We look at any medications that could be related to symptoms you’re experiencing. Sometimes, we’ll talk to your physician and see if there are any other equally effective drugs that do not have the same side effects. The definition of ototoxicity, in its simplest form, is ear poisoning (“oto” references the ear and “toxicity” references poisoning). Chemicals, drugs, and other agents that are known to cause hearing loss, balance disorders, or tinnitus are referred to as ototoxic. Damage to the auditory system can occur when the hearing and balance nerve, which sends balance and hearing information to the brain from the inner ear, is exposed to certain drugs or chemicals. If you’re one of the 11.5 million Americans who watched the Super Bowl, you would have seen the ad featuring the little blue pill. The pill was missed by the taker and eventually made the Fiat expand from a little car to a big car. Viagra is a commonly taken drug that has increased the number of sudden sensorineural hearing loss audiologists see. In a 2007 study by the Otolaryngology-Head and Neck Surgery, some individuals who have taken Viagra and other PDE-5 inhibitors reported sudden hearing loss in one of both ears, often accompanied by tinnitus (ringing in the ear). How much so? The results show that, among 11,525 men over age 40, those who took Viagra or other drugs that act in a similar manner, called phosphodiesterase type 5 inhibitors (PDE-5i), were twice as likely to also report hearing loss as were men who had not used the drugs (2010). A 2007 study, published in The Archives of Otolaryngology-Head and Neck Surgery, shows that some individuals who have taken Viagra and other PDE-5 inhibitors reported sudden hearing loss in one or both ears, sometimes accompanied by tinnitus, or a ringing in the ear. In fact, men who have taken Viagra or other PDE-5 inhibitors are twice as likely to report hearing loss than men who have never taken the little blue pill. The reason for the reported hearing loss isn’t specified, though hearing experts believe that increased blood flow to the delicate hearing mechanism may actually damage parts of the auditory (hearing) system. Ototoxic drugs or agents can be ingested, inhaled, or absorbed through the skin. Today, there are more than 200 known ototoxic medications on the market today. These include medicines used to treat serious infections, cancer, and heart disease. Some common medications known to cause temporary damage to sensory cells in the inner ear are aspirin, quinine (to treat malaria, also found in Tonic Water), and loop diuretics (to treat specific hearing and kidney conditions). Organic solvents (a chemical class of compounds that are typically used in commercial industries) are the most commonly identified ototoxic chemicals. The list of chemical agents in the form of gases, paints, metals, and pesticides is impressive: High-priority ototoxins present immediate danger in certain elemental forms. Toluene, xylenes, styrenes, n-hexane, trichloroethylene, carbon monoxide, and alcohols are all considered high priority, and workers should avoid exposure to any and all relative products. Pregnant women may be at risk of exposing their unborn child to substances harmful to the child’s hearing. During pregnancy, drugs such as Accutane, Dilantin, alcohol, and those used in chemotherapy can affect the fetus ototoxically. After birth, a child’s exposure to certain aminoglycoside antibiotics, diuretics, cisplatin, and other ototoxic agents may put them at risk for hearing loss. Activities where chemicals are absorbed by the body while the ears are exposed to dangerous levels of noise may increase the risk of ototoxicity (think boat building, construction, firefighting, painting, and firing weapons). Other chemicals associated with hearing loss are benzene, carbon disulfide, carbon monoxide, ethylbenzene, hydrogen cyanide, lead, and mercury; some of these are found in organic solvents that are widely used for a variety of commercial and recreational projects. Automotive and aviation fuels • Plastics • Paint thinners • Lacquers • Dyes • Detergents • Medicines • Perfumes • Fabric and paper coatings • Printing inks • Spray surface coatings • Insect repellents What Can I Do to Protect Myself? If you are prescribed drugs that are ototoxic, do not stop taking them. If your provider is monitoring your hearing status, he or she will be better able to advise you on the risks of the medication and provide appropriate management. If you or a friend has expressed concern over spinning, nausea, headaches, or hearing loss, ototoxicity may be the cause. Our office provides comprehensive solutions that can help keep our community healthy and happy. Thank you for working with us to improve the quality of life in our local community! Staff, By Live Science. 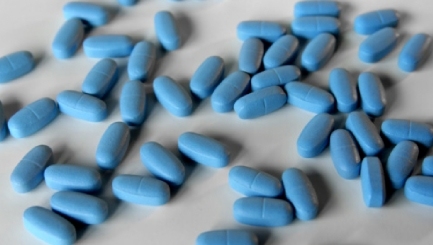 “Viagra Users at Risk for Hearing Loss, Study Suggests.” LiveScience. TechMedia Network, 18 May 2010. Web. 24 Sept. 2015.